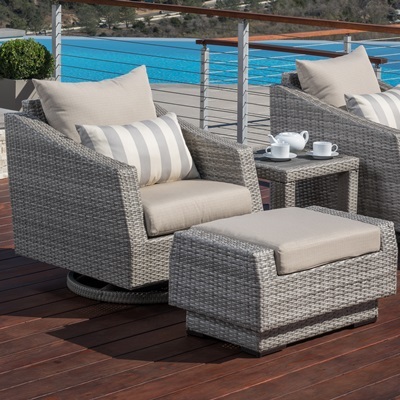 Perfect as standalone pieces or for adding to another outdoor seating set, the Cannes Armless Chairs are designed to inspire as much as relax. 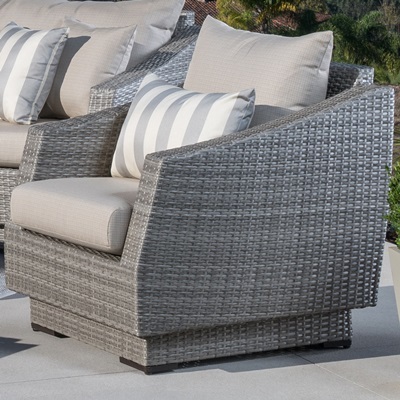 Durable and unique styling combine to give your patio personality without sacrificing a moment's worth of tranquility. The hand-woven dual toned grey weave, distinctive to the Cannes Collection, creates style and class that lasts for years.